Medium Project 4, Photo 3 » Roger Perron Inc. 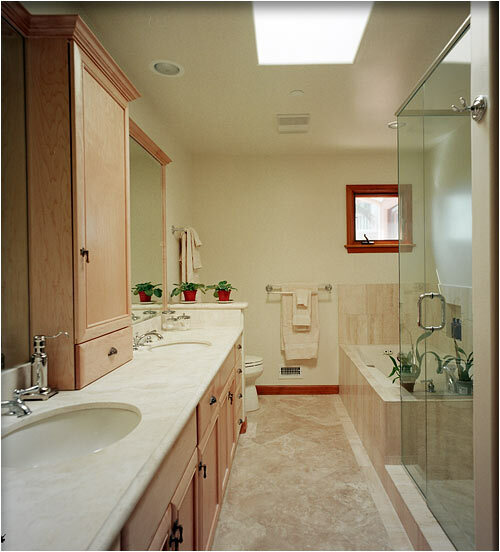 The master bath has a wonderful shower with an open look. The whirlpool tub is appreciated after a long day at the office and is good added value. The custom cabinets provide ample storage, while the granite counters allow for spread-out room. The stone tiles are travertine.